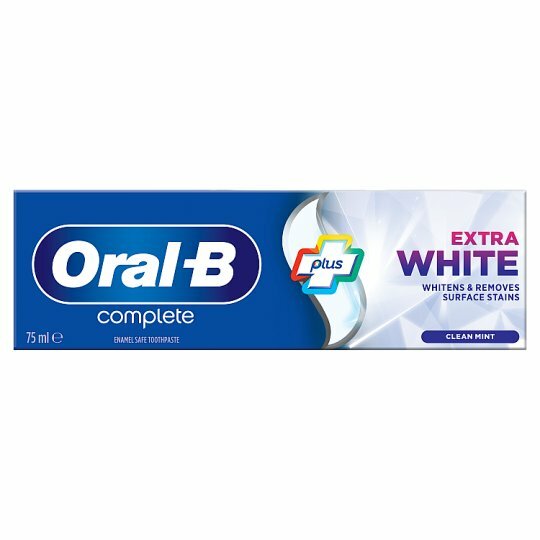 Get the stain removing power of Dual Silica Technology and a breath freshening blast all in one tube with Oral-B Complete Plus Extra White toothpaste. Children of 6 years and younger: Use a pea sized amount for supervised brushing to minimize swallowing. In case of intake of fluoride from other sources consult a dentist or doctor. Contains Sodium Fluoride (1450 ppmF).